Let’s discuss how Steven Spielberg uses the L system, both in relation to the camera movement and the blocking of his actors. 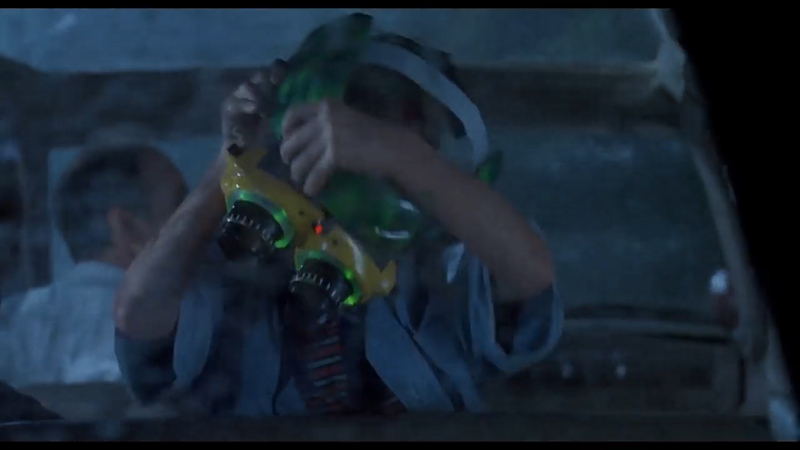 We’ll also see how Spielberg used this as a key part of his directing choices in many of his classic movies. These are films that have lasted decades and brought us some of the greatest blockbusters in film history. Speaking of blockbusters, we have a tendency in current large-scale “tent-pole” movies, to negate purposeful character movement in favor of shooting static single coverage of actors with limited movement. When done right blocking has the power to highlight a characters intention, motivation and development through movement. This use of movement can further engage an audience on a conscious and subconscious level, allowing for a richer narrative and a deeper filmgoing experience. It is the art of positioning and movement of the actors within the frame. 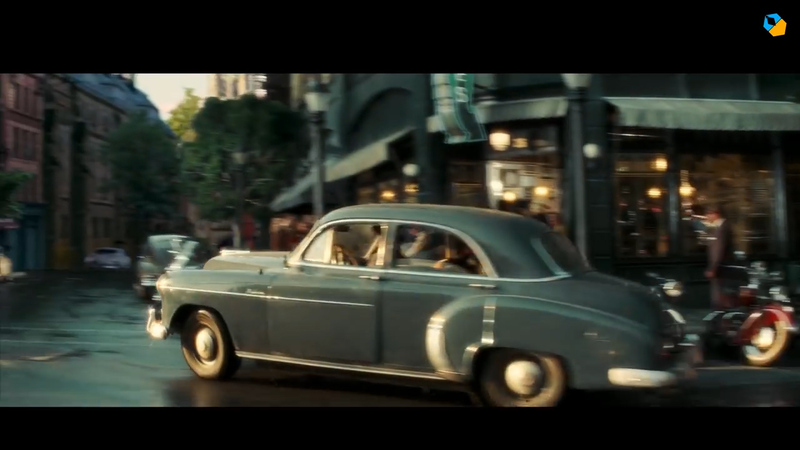 However with the proliferation of green screen and VFX this element in some modern blockbuster films has been stripped. Because of this the actors movement is hindered and the camera movement has been diminished. It is easier for VFX supervisors to render still images with minimal movement and give studios a shorter turnaround time for post production. This is not to admonish current blockbuster films. They have their strengths too. So the dilemma for modern filmmakers becomes how to use these new tools without allowing them to overpower the narrative and strip both the director and actors of their choices on how to block the scene and move intentionally through the frame. We can at first pinpoint this use of camera movement and actor movement to older Hollywood studio films from the 1940s and 1950s, while camera stock was expensive and most films were created on studio sets. Directors increasingly used a wide shot then pushed the camera in and out to create a series of shots and frames while completely omitting the need to cut to various reactions or inserts. 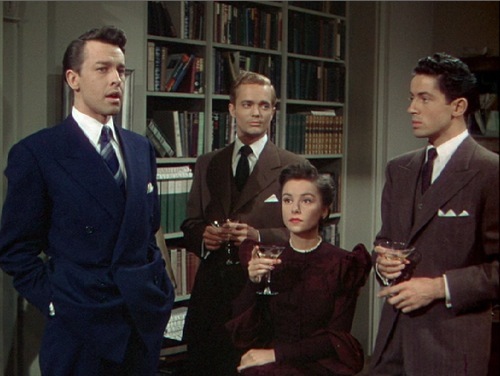 For example, Hitchcock’s 1948 classic film Rope was presented in one take (however, eagle eye viewers may notice a cut here or there). This film presented multiple angles and shots from one shot to better engage the audience. In our next example we have the quintessential ending of the American classic Casablanca by Michael Curtiz. 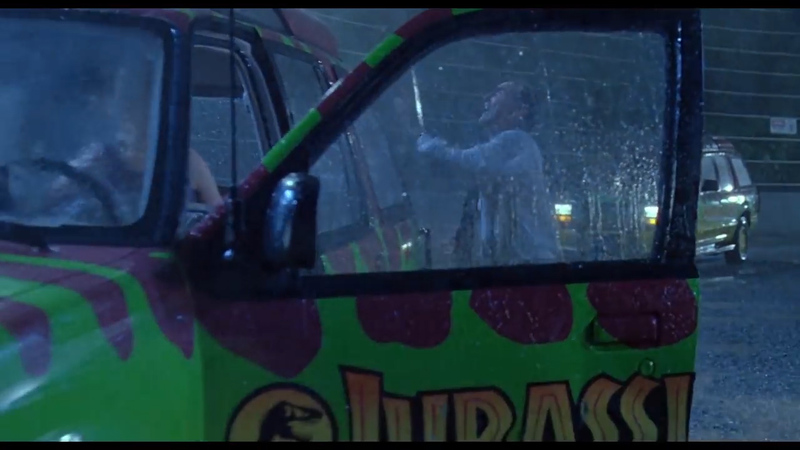 As we can see the first shot last nearly twenty seconds, as it introduces the security guard, a vehicle pulling up to the airfield, and our four major characters as the get out of the car. In an interview with AFI Spielberg specifically mentions the idiosyncratic work of Alfred Hitchcock and Michael Curtiz. Spielberg himself asserts, while he is a good storyteller, he is not someone who has a unique style unlike Hitchcock who’s blocking, camera movement, and mise en scene are universally acknowledged and praised. Spielberg argues he is more of a Michael Curtiz, a chameleon who is a good storyteller but without a distinct style. I argue that Spielberg an all time director with nearly 50 years of filmmaking experience, does indeed have a style. Spielberg himself has become a master of what I consider to be the L system. What is the L system? The L system consists of two major components as discussed at the opening of this essay. One element consists of the camera moving across the film Axis in an L movement and another where in the actors provided the same actions themselves. This is something that has dominated Spielberg’s filmography time and time again. How does the L system work? It works with at times both a combination of actors and camera. This helps create an image when done right that is both breathtaking and effortless, that shows a true master at the height of his career. The camera itself can move in infinite ways, as long as it fundamentally moves towards or away from the action depicted on the screen or perpendicular towards what is happening. 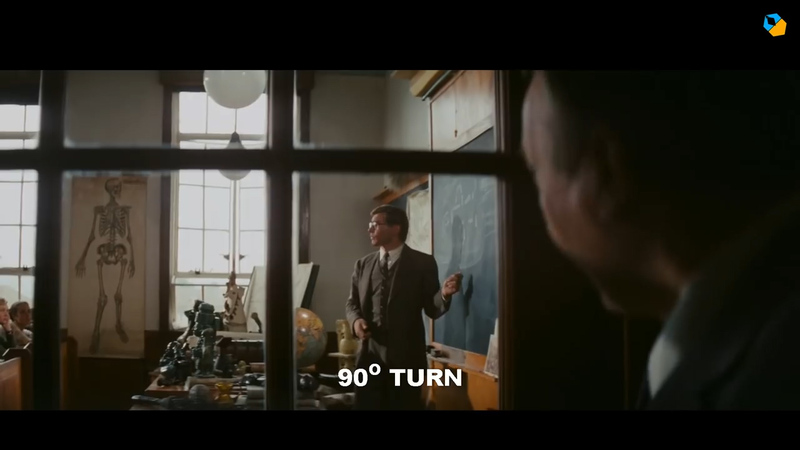 However, this two actions of towards or away and perpendicular do not not have to be separate, as Spielberg frequently cuts between the camera movements. As in this sequence from War of the Worlds where the first shot is perpendicular to the frame and is moving away from what is happening in the scene and in the next shot we are presented with an action or movement that is perpendicular to what is happening. This sequence of events potentially can repeat itself, allowing for an image that is not repetitive. This denies the audience a state of stasis or boredom. Furthermore, this allows for a dynamic frame that engages us and keeps us on our toes. Lastly, this also allows for the frame to be wider, we are aware of the space in which the action or movement is occurring and we can map together where the next movement or angle can be set. 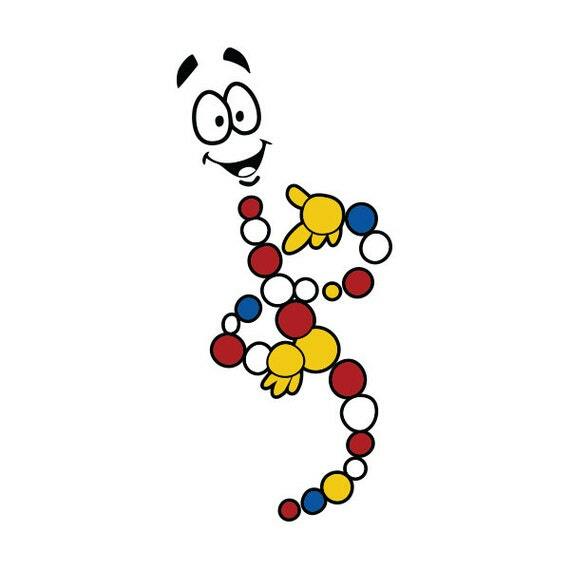 Pair this in relationship to the sequences with Jurassic park and the introduction and escape of the T-rex, where the L system is used repeatedly. We are immediately presented with a towards movement of a glass water, this is then with another towards camera movement on the child actor. This establish the distance of where the actor and the water is in relation to each other, and indicates what is coming. 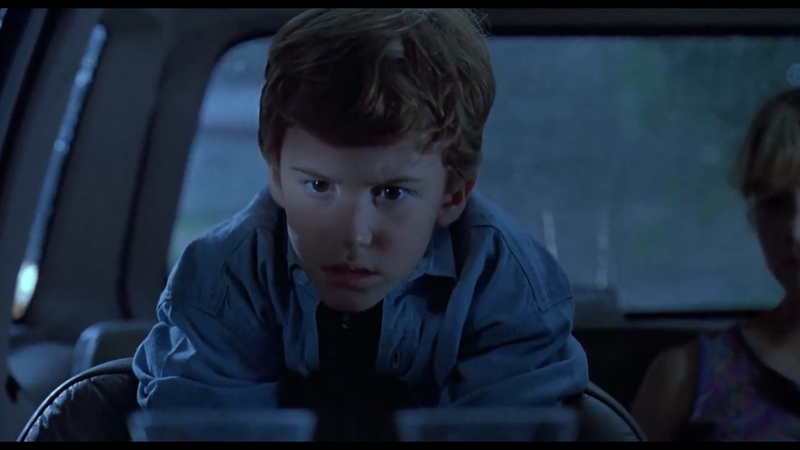 After a couple of shots establishing the dynamic in the car we are presented with a 90 degree movement from the outside looking in as the child actor puts on the night vision goggles.This helps establish how close the car is in relation to the fence and foreshadows the danger they are in. 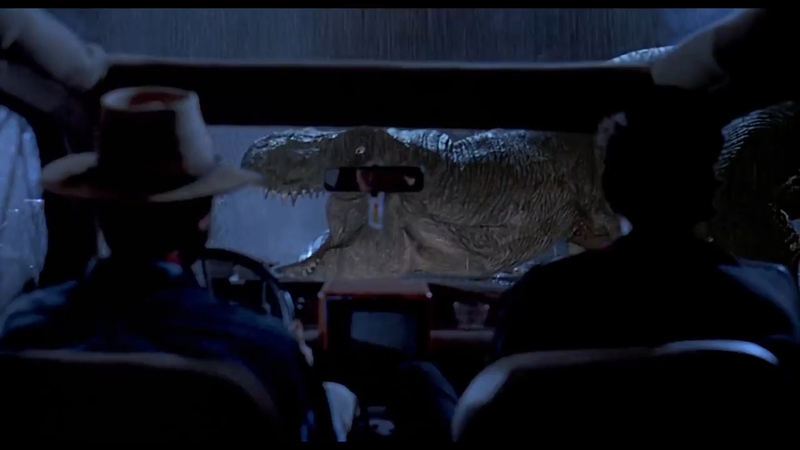 There is another push in reaction of the goat leg being tossed on the car, and finally an astonishing shot that pushes out from the window of the car to the reveal of the T-rex. 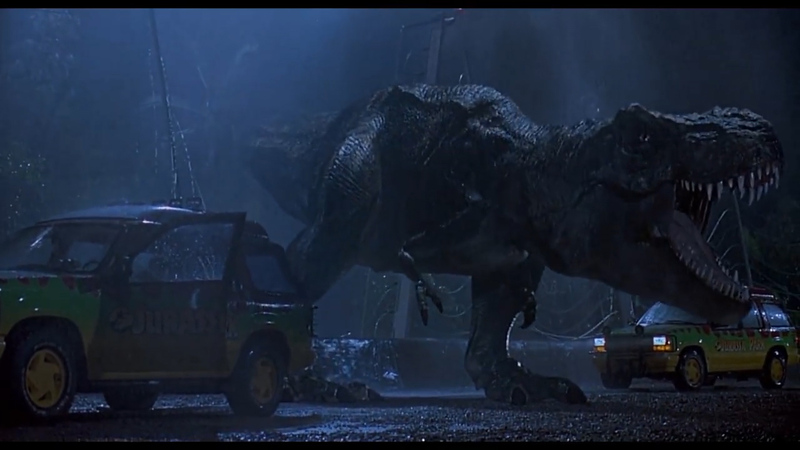 This shot fully establishes how the close first car is to the t-rex and the immediate danger that follows. We are then presented with another wide from the outside finally pushing in through the car window. This again serves a dual action both as an establishment of the lawyers cowardly attitude and the special relationship of the other car with Grant and Malcolm who are clearly further away from the action. Another shot precedes this with another movement, that does not show the bathroom isolated but rather inside the bathroom door looking out to the rest of the set. This highlights where the bathroom is in conjunction with the location and how it is even further then 2nd car established in the previous shot, and how far the lawyer has gotten. The lawyer is now furthest away from the danger, and we have a larger view of the entire set. This establishes the groundwork for the scene and showcases where the three mini locations are located within the whole set, and how the scene could potentially play out. We are now presented with the interior of the second car with Grant and Malcolm where they establish again where they are in connection to the first car and the fence, clearly further away as we cut on the action of the fence being ripped apart, as the first car with the children is closer. 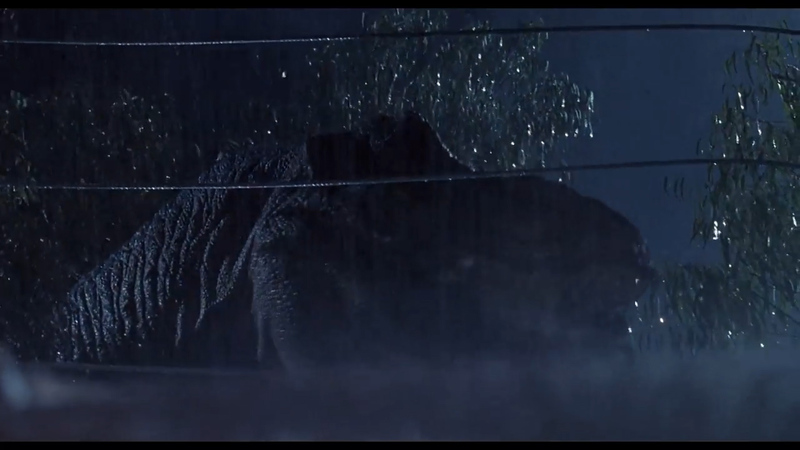 As we can see with Spielberg’s use of blocking and camera work in relation to the L system he has weaved together a set piece that is harmonious and reached iconic status. This reverberates in our psyches on both a conscious and subconscious way and make us want to relive movies over and over, and ultimately become classics. 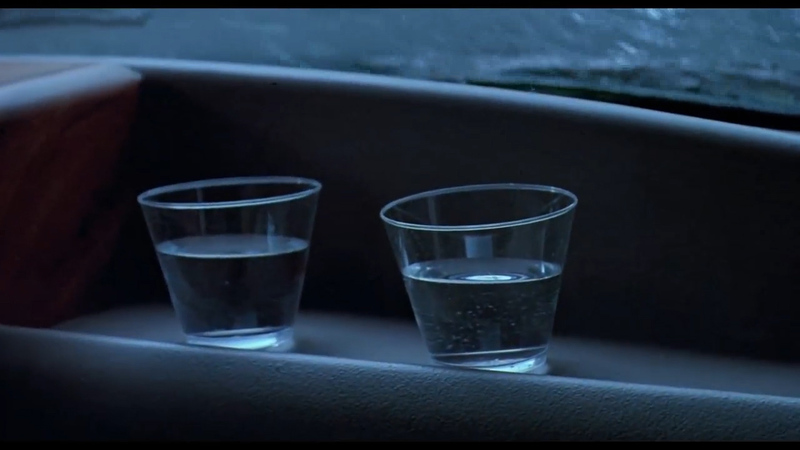 With that said, how and where else has Spielberg used the L system before? Again, in War of the Worlds wherein the sequence of people gravitating towards where the lightning strikes happen. The camera moves sideways then forward then sideways back and forth then finally from the top. The only non consistent is changing the focal length then a sprinkle of static shots. To reiterate he establishes these moments so your eyes and mind are fully engaged, they allow you to get a better understanding of where this is happening and the relation of the actor to what is happening in the sequence. It allows for a dynamic, visually rich image that is duplicated and repeated in nearly the entirety of Spielberg’s films. However, these are not predetermined and not part of an established formula, at times Spielberg does mix it up.This gives way to further complexity in a scene and can further help establish a character, their motivations and how they relate to what is happening and how they perceive it. In this sequence from Lincoln, Anthony Hopkin moves in the L system, but this time he does it backwards. Much like camera movement actors move in various ways. 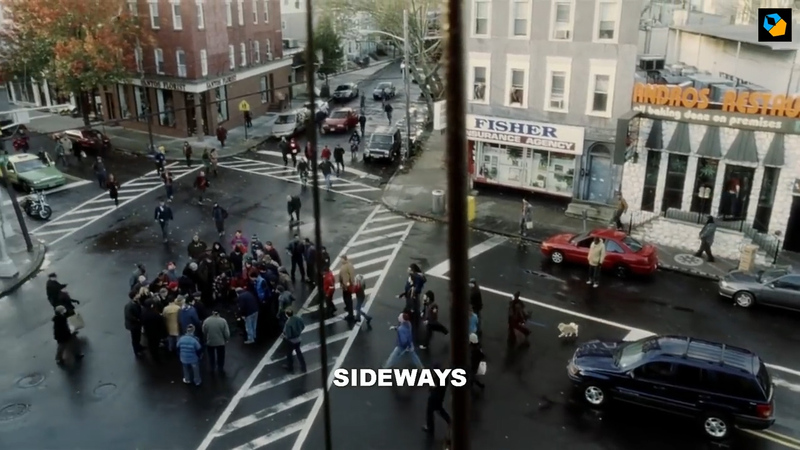 In a cinematic context, actors can move to or away from the frame or action and perhaps sideways. Sometimes they may indulge us and mix it up, and turn in the shot allowing for an L pattern. This action can be even extended to cars and other modes of transportation as there are as movement happens multiples times in his films. As you can see this car deliberately goes down an L shaped road to deliver some unfortunate news. 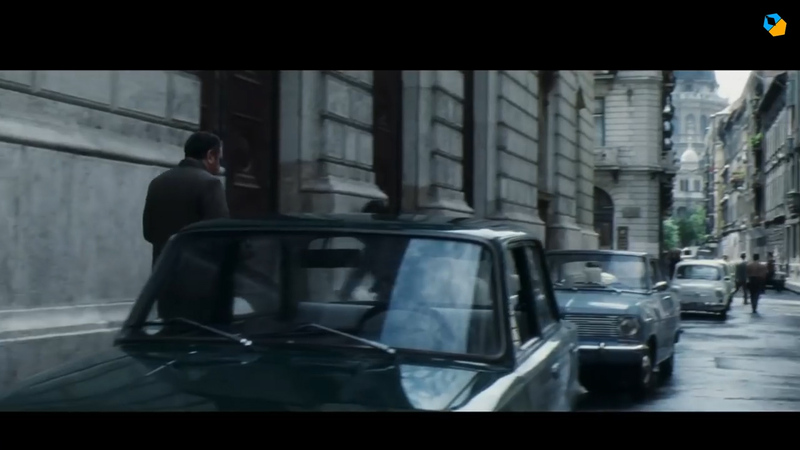 In this scene from Artificial Intelligence the actors are moving from side to side perpendicular and then finally moving towards the side of the camera forming as you guessed it, an L.
As a director Spielberg encourages his actors to move, allowing for creativity and the actors themselves can represent their characters through body language. Then finally the camera can move in L Pattern with the actors themselves who also move in an L pattern so they can get closer or further away from the camera. This is a fundamental way of how Spielberg thinks. Almost an instinctive subconscious reaction on how to block, and the solution again to provide lively, dynamic and effective scenes. It is a part of his DNA. Another fundamental and key aspect of the L system is the 90 degree turn. Which is an L pattern but you do get both movements in the same shot. 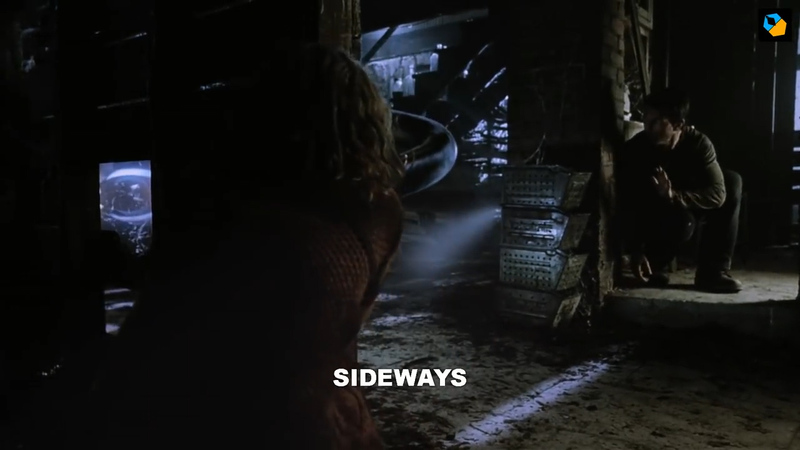 The actors themselves can be moving sideways , and the camera pans along with them as the scene continues. Again the key is combining both elements, as Spielberg can be economical and subconsciously does not sever the tie between the moviegoer and the film they are watching.We are not forced to recognize and assess a new image or shot; we are immersed. Here is an example of Raiders From The Lost Ark. It combines all of these elements as it alternates between sideways, forward, and back. 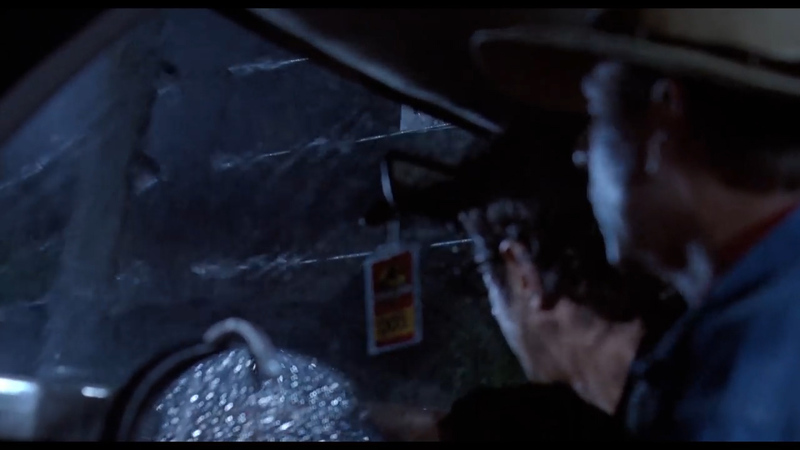 Additionally, there is one final way as in which Spielberg uses the L system as a part of his filmmaking tool kit, which starts with an over the shoulder shot. He takes a pre-established tried and true over the shoulder and makes it his own. The actors within this shots are positioned in the L system, opening themselves up and allowing them again to express their character their position ,and body language. This also invokes the idea of vulnerability as the actor has quite literally opened himself up, making him seem defenseless. The audience connects with the actor quicker and starts to understand their plight quickly. 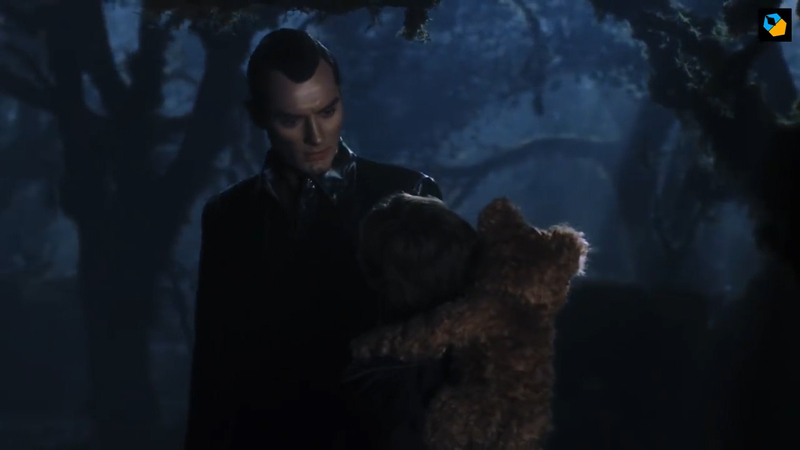 Additionally, in this scene the actor is almost facing away from the camera, in am almost profile stance. 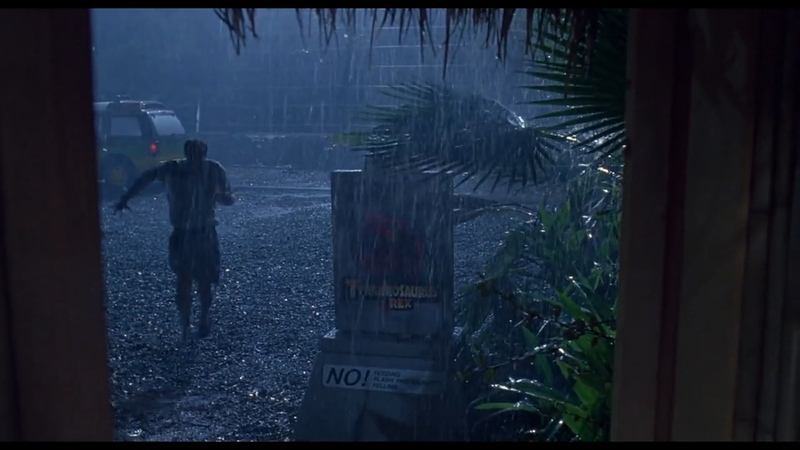 Furthermore, if there is more than one person in the shot Spielberg will triangulate this. As in, one of the actors would be facing us, while the others are facing each other. Lastly, for the perfect example of the entirety of the L system which involves both camera and body movement/position, would be Munich. A series of camera and actor movements, even going as far as moving in the L pattern in the same shot. What makes this example so unique is that is uses various locations with multiple characters to pull of a series of L system movements. To do this correctly and seamlessly, Spielberg was working at the height of his power and it is a true example of his filmmaking genius. This a man who has clearly been retooling and working on his craft for a near half century. 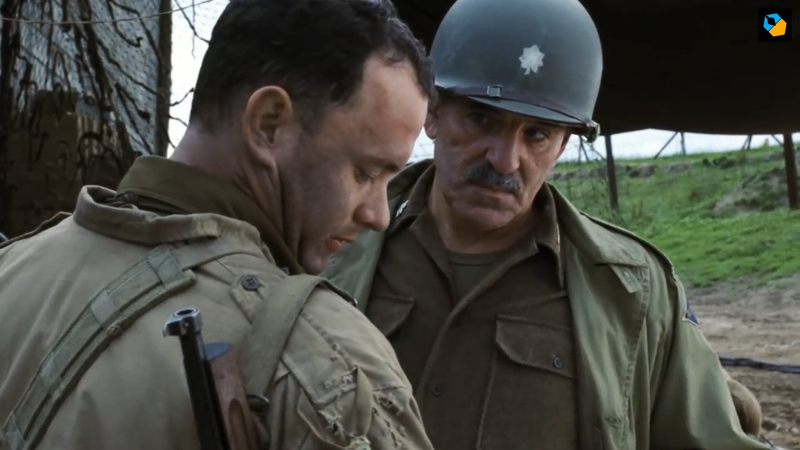 Lastly, applying Spielberg’s L system in regards to movement both of the camera and actor, while studying some of the older films and their directors can help you get you a better understanding of blocking and directing. Ultimately, it can expand your understanding of film and how to become a better moviegoer or filmmaker.